The buyer's journey is the research and decision-making process that a buyer goes through leading up to a purchase. It's not quite accurate to say it's just another word for the purchasing/buying process. The buyer's journey also includes the symptoms, problems that lead to the need for a product or service. Depending on who you talk to, the buyer's journey can have anywhere from three to fifteen steps. However, there are three widely accepted stages that marketers use to describe the average B2B or B2C buyer's journey: the awareness stage, the consideration stage, and the decision stage. Awareness: Joe hears a strange roaring noise coming from the left side of his car while driving on the highway. He Googles “roaring noise on highway left side.” This returns information about possible causes of the roaring noise, YouTube videos of different roaring noises with descriptions, and articles on how to distinguish different noises. Through these sources, Joe learns his true problem is not the roaring noise, but a faulty wheel bearing. Consideration: Joe begins researching “how to fix bad wheel bearing.” His search returns complicated instructions for fixing it himself, finding a mechanic to fix it for him, and the cost of both. Joe decides he is more comfortable taking his car to a mechanic. Decision: Now Joe needs to decide which mechanic he will visit. He looks up what to expect from a wheel bearing replacement service and specific vendor reviews & ratings. He decides on a mechanic nearby who has good reviews, is trusted by his customers, and is available during hours that work for Joe. When you're planning out your marketing strategies, you need to map out this process for each of your buyer personas and produce content that will be useful for those personas at each stage. Click here to download the Ultimate Beginner's Guide to Buyer Personas for more information. These statistics will show you why the buyer's journey is important, why you need to provide content for each stage of the journey, and how the buyer's journey can benefit your company. 81% of shoppers conduct online research before buying. (Adweek) Click to Tweet! 65% of consumers spend 16+ minutes comparison shopping before making a purchase. (Conversion XL) Click to Tweet! Half of shoppers spend at least 75% of their total shopping time conducting online research. (HubSpot) Click to Tweet! 72% of buyers turn to Google during awareness stage research; 70% return to Google in consideration stage research. (Pardot) Click to Tweet! There may be 7-20 people involved in any given B2B purchasing decision. (KnowledgeTree) Click to Tweet! By 2020, 80% of the buying process is expected to occur without any direct human-to-human interaction. (Forrester) Click to Tweet! 72% of b2b sales deals end in either a “no” or no decision. (Marketbridge) Click to Tweet! 90% of B2B buyers say when they are ready they will find you. (Cascade Insights) Click to Tweet! Today’s B2B buyer will find three pieces of content about a company for every one piece that company's marketing team can publish or sales can deliver. (Forrester) Click to Tweet! 50-90% of the buyer’s journey is complete before a buyer reaches out to sales. (Multiple Sources) Click to Tweet! A B2B prospect's journey can last from three months to longer than a year. (Act-On) Click to Tweet! 67% of the buyer's journey is now completed digitally. (Sirus Decisions) Click to Tweet! In 2014, 51% of buyers conduct a more detailed ROI analysis before making a final decision, compared to 30% in 2012. (DemandGen Report) Click to Tweet! 25% of buyers reveal their interest to vendors at the early stages of the journey. (Demand Metric) Click to Tweet! Almost 90% of study participants indicated it is important to influence buyers earlier in their journey. (Demand Metric) Click to Tweet! 83% of consumers require some degree of customer support while making an online purchase. (eConsultancy) Click to Tweet! 62% of customers find it extremely/very important to be able to call your business at the purchase stage. (Google) Click to Tweet! 61% of survey respondents agreed that the winning vendor delivered a better mix of content appropriate for each stage of the purchasing process. Click to Tweet! 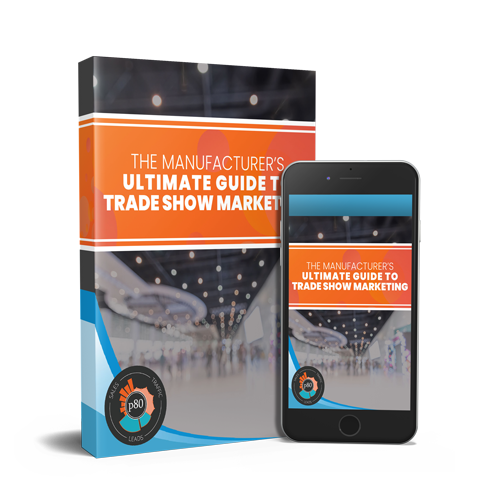 52% viewed 8+ pieces of content from the winning vendor. Click to Tweet! 71% emphasized the importance of relevant information. Click to Tweet! 76% of B2B buyers prefer to receive content unique to their buying stage. (Marketbridge) Click to Tweet! 95% of buyers prefer brands that provide content throughout the buying process. (Marketbridge) Click to Tweet! 84% of B2B executives state that social media is a component of their purchase decisions. (Marketing Profs) Click to Tweet! 72% of B2B buyers use social media to research solutions. (Marketing Profs) Click to Tweet! 84% of marketing execs say they plan on developing a process to map rich media content assets to buyers journey stages. 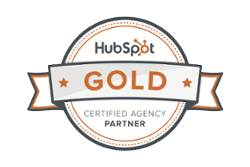 (HubSpot) Click to Tweet! 86% of senior-level marketers say it's absolutely critical or very important to create a cohesive customer journey. (Salesforce) Click to Tweet! 74% of deals are awarded to the sales rep and company that was first to add value and insight. (Corporate Insights) Click to Tweet! Companies that excel at lead nurturing generate 50% more sales-ready leads at 33% lower cost. (Marketing Profs) Click to Tweet! Leads nurtured with targeted content produce an increase in sales opportunities of more than 20%. (HubSpot) Click to Tweet! A connected marketing and sales funnel enabled by marketing automation drives a 14.5% increase in sales productivity. (Marketbridge) Click to Tweet! The average Fortune 500 firm may have $240 million in untapped revenue stuck in their pipeline. All 500 collectively could have $120 billion. (Marketbridge) Click to Tweet! Reps who “sell socially” and incorporate content aligned to the buying process are 76% more likely to be high performers. (Marketbridge) Click to Tweet! Synchronizing display and social media ad targeting with email nurturing campaigns can result in a 64% increase in additional conversions from known contacts. (Bizo-Eloqua) Click to Tweet! Whether you're a marketer looking for statistics or a business owner looking for ways to increase lead generation, these buyer's journey statistics should be of some assistance. Mapping your buyer's journey is the best way to provide relevant content, get in front of potential customers, and close more sales. If you have any questions about what the buyer's journey can do for you, feel free to contact us.